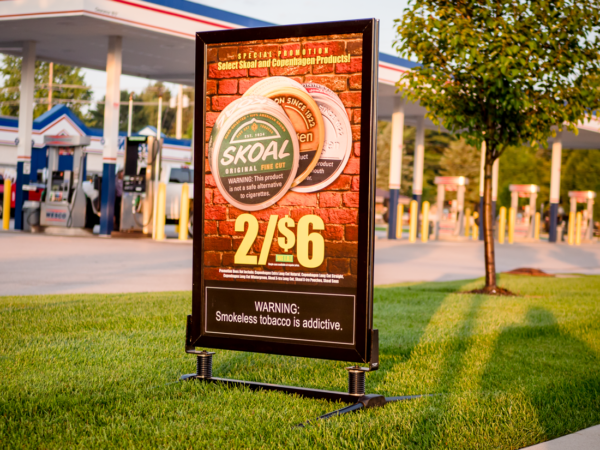 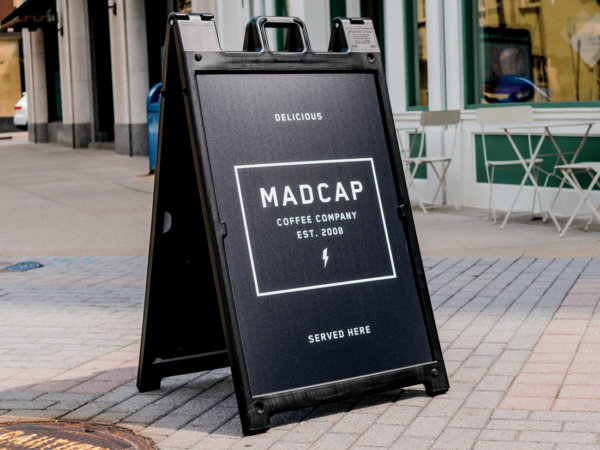 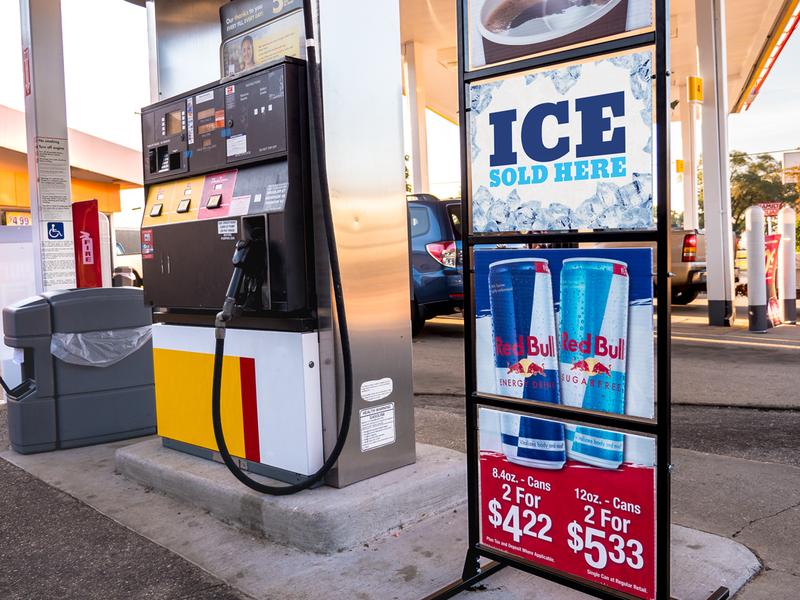 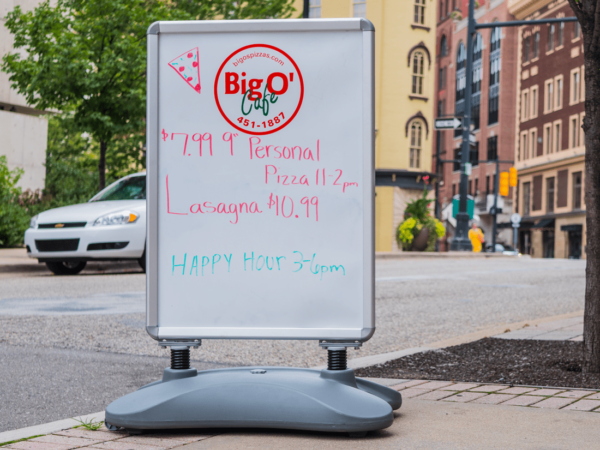 Sidewalk signage is an important part of any business’ advertising strategy to increase brand awareness, customer base and ultimately sales. Wilde Signs offers a wide range of sidewalk signage at varying price options. 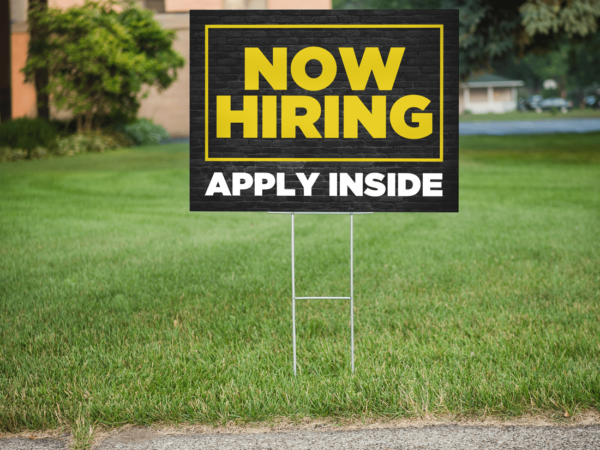 We almost always recommend Windmaster Curbside Frames due to their American made quality, easy to use snap lock frames, wind resistant spring base and weatherproof build. Check out all of our recommended options below and start increasing your sales today! Not only do we sell a huge selection of curbside frames, we also print the poster inserts. 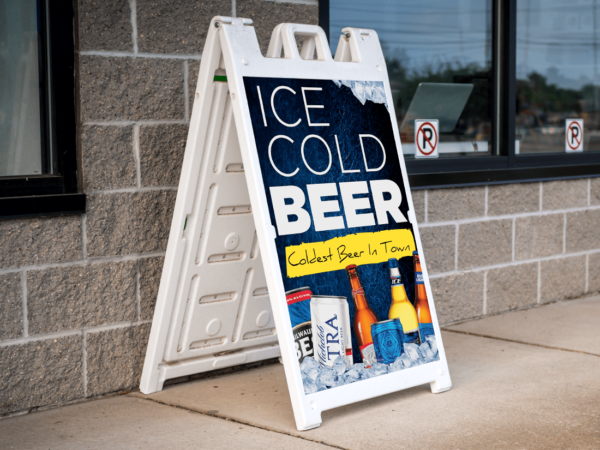 Wilde Signs can be your one stop shop for frames and custom design inserts. 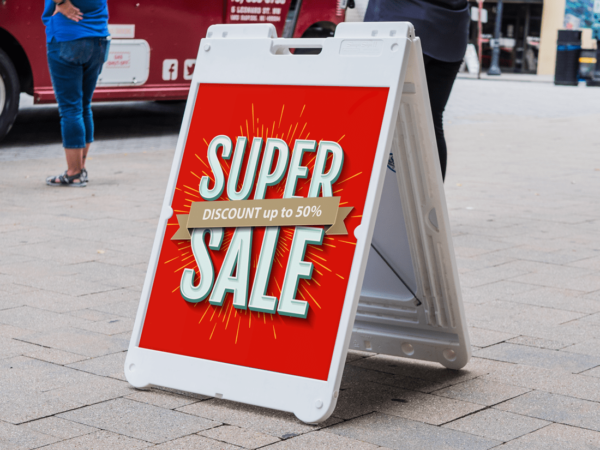 Interested in buying directly from the internet? We sell sign frames & poster inserts directly from our online e-commerce site. 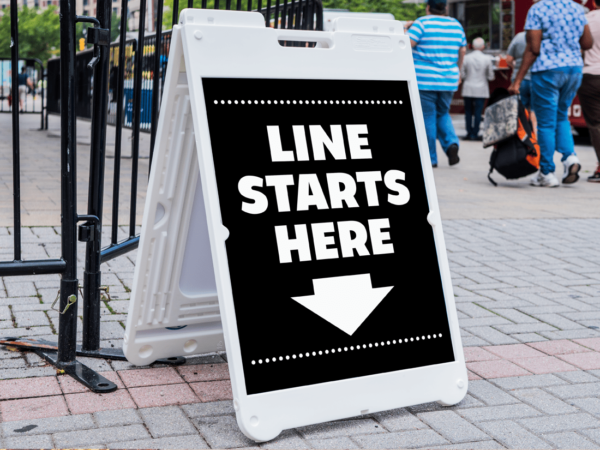 Contact Us to Get Your Order Started Today! 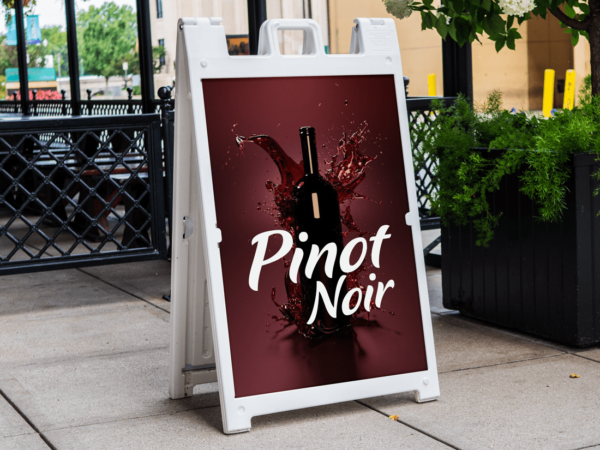 Sidewalk signage is an important part of any business’ advertising strategy to increase brand awareness, customer base and ultimately sales. 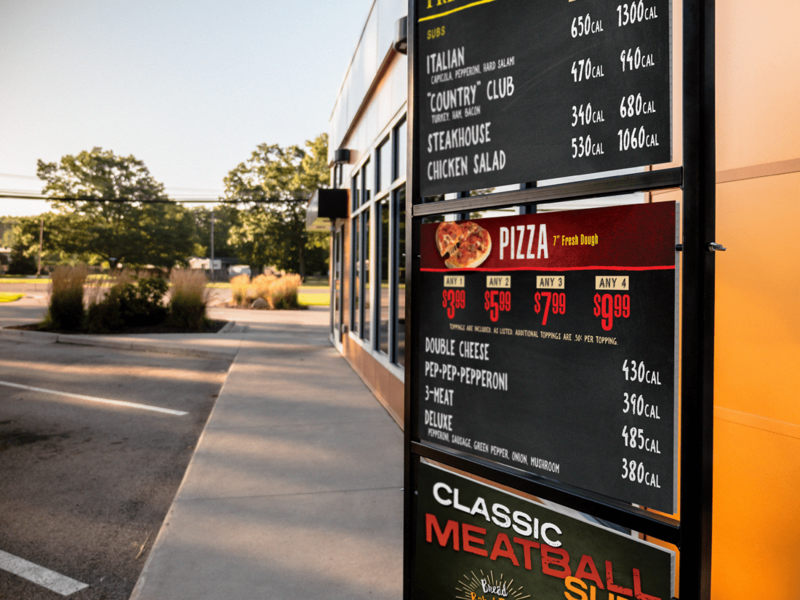 Wilde Signs offers a wide range of sidewalk signage at varying price options. 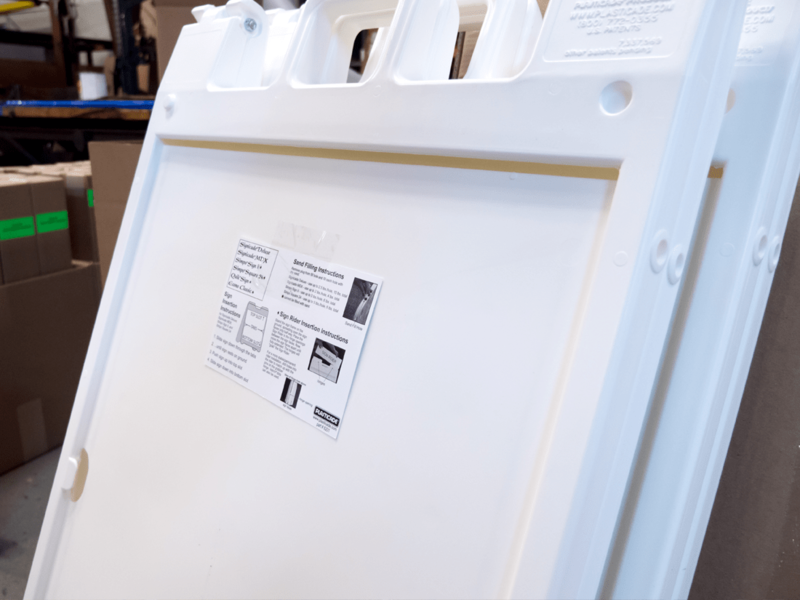 We almost always recommend Windmaster Curbside Frames due to their American made quality, easy to use snap lock frames, wind resistant spring base and weatherproof build. 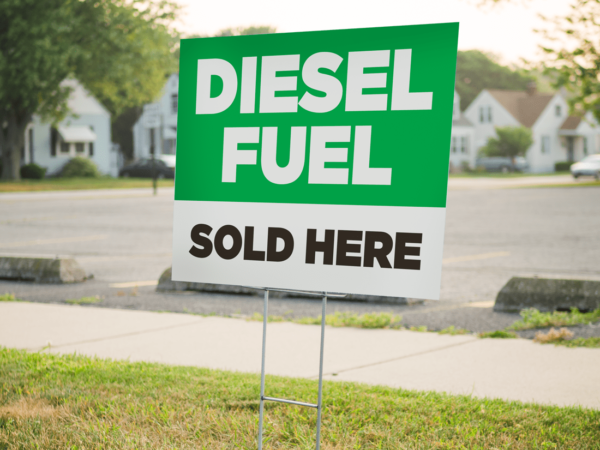 Check out all of our recommended options below and start increasing your sales today! 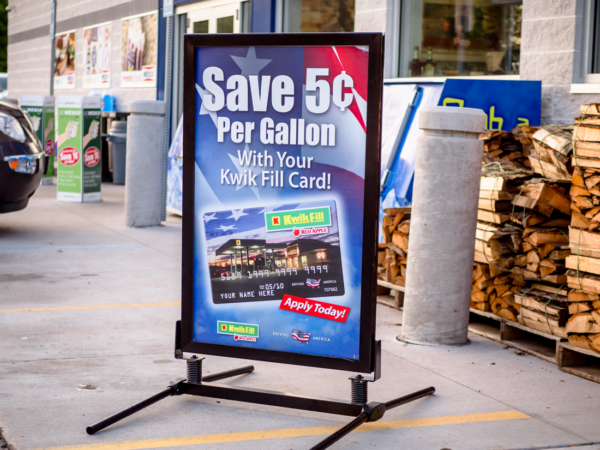 Not only do we sell a huge selection of curbside frames, we also print the poster inserts. 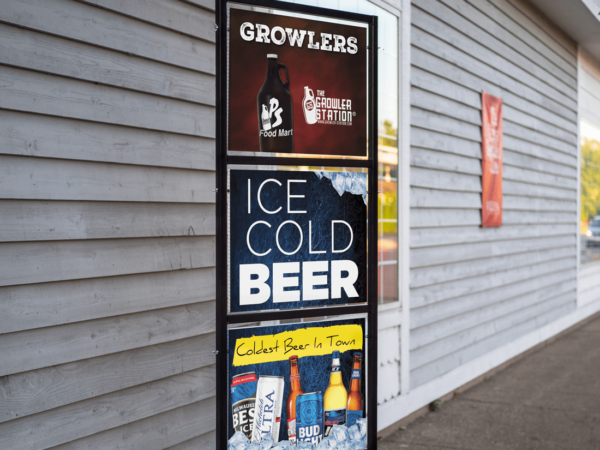 Wilde Signs can be your one stop shop for frames and custom design inserts. Interested in buying directly from the internet? 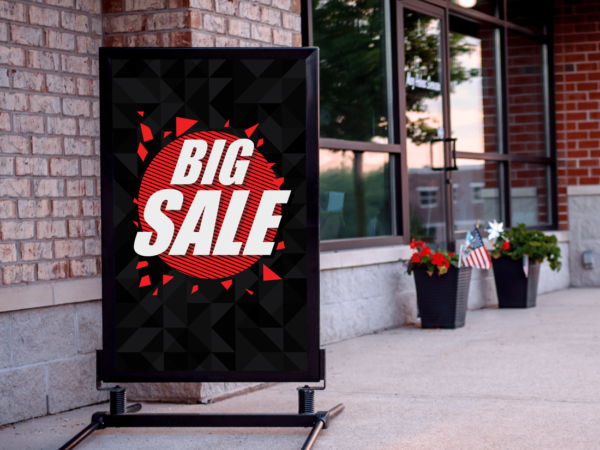 We sell sign frames & poster inserts directly from our online e-commerce site.